With a fresh blanket of snow in the mountains, I’m guessing there are many brides dreaming of a white wedding! If you are having a winter wedding, chances are you heart winter as much as we do! Why not embrace your winter wedding theme and present one of these adorable (edible) snowmen as favors? Okay, these aren’t snowmen, but these gingerbread boy smore’s would be cute too! This one isn’t edible but would be a cute keepsake favor! These handmade snowman bags would be perfect to package your winter wedding favors in! Happy Planning your White (snowman-filled) Winter Wedding! Are you beholden for Anthropologie? If so, then you’re probably aware that Anthropologie launched their new wedding site today: BHLDN. They have a gorgeous collection of wedding gowns, dresses, lingerie, jewelry, hair pieces and more! Whether you are looking for a soft, vintage look, a romantic neo-sophisticate or la bohemienne, BHLDN has it all. We love the color palette of soft muted tones, metallics and brights. See all the gorgeousness for yourself! For help with your Canadian Rocky Mountain wedding, contact Naturally Chic at hello@naturallychic.ca. If you’re thinking about getting married in the mountains, you may want to consider a Valentine’s “Planning” Getaway. You can plan a romantic Valentine’s escape, have some fun and accomplish a little wedding planning as well. You can always find great Valentine’s packages and specials at mountain resorts, hotels, and restaurants. Whether you are planning a day trip or an overnight stay, there are usually plenty of promotions such as romantic accommodation packages, ski and stay promotions or simply special gourmet menus to take advantage of. Have you had your eye on a rustic mountain lodge you’ve never been to or have your friends been raving about a great hotel they think would be perfect for your wedding? Why not seize the opportunity for yourself and your loved one and head to the mountains for some much-needed “research”? If you need more convincing for a romantic mountain getaway, consider this the perfect opportunity to taste a venue’s food, try out their accommodations and test the level of service provided. What better way to know if it’s a perfect fit for you and your guests on your special day? While there, why not ask if someone is available to give you a tour of the reception facilities? Most venues that host weddings will at least have a promotional package listing what wedding services they offer and their rates. Even if you are staying at one venue, there’s no reason you can’t check out a few venues in the area too! Canadian Rocky Mountain Resorts (CRMR) has Valentine’s Promotions to stay at either the beautiful Buffalo Mountain Lodge in Banff, AB or the incredible Emerald Lake Lodge in Field, BC with rates starting at $150 and $170. respectively, per person (based on double occupancy). Both these resorts are absolutely amazing with stunning views, great food, and service! A three-course, special Valentine’s Day menu at the contemporary Juniper Hotel and Bistro in beautiful Banff, Alberta. Their food is always amazing and worth every delectable bite of “research”. With its new luxury spa and signature luxury cabins, the Fairmont Jasper Park Lodge is a perfect Valentine’s retreat for you and your sweetie. Check out their year-round Jasper Romance Package. The stunning luxury boutique hotel, The Grande Rockies in Canmore, Alberta is another amazing venue with incredible food and level of service. They are offering a Money Can’t Buy Love Special from $199. and a Luxurious Love package featuring a romantic five-course dinner, SMORE package, and accommodations. All these fabulous venues offer wedding day services and are, in our opinion, worth the visit! *Please consult the venue of your choice for availability and restrictions as rates and packages may be subject to change. Naturally Chic is available for a complimentary initial meeting. As part of our Valentine’s promotion, we are also available to assist you on a venue tour of choice from February 12th to the 14th (subject to availability of the venue*). We can assist you in asking the venue questions pertinent to your wedding and help you determine if a particular venue is a good match for your wedding vision. Does it have the right feel and atmosphere for the type of wedding you are envisioning? Does it have space and capacity to hold all your wedding guests? Is it within your budget? Are there extra costs not listed in their wedding package? *Please note prices are subject to changes. Please call the venue for current rates on any of their accommodations or packages. Congratulations! 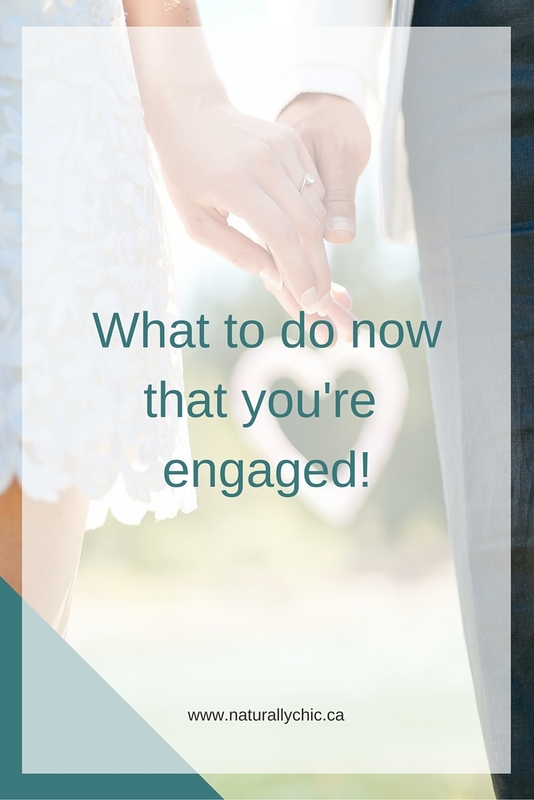 Being engaged is one of the most exciting times in a couple’s life. It’s an official proclamation that you have dedicated your lives to each other. For the next several months you will be immersed in the world of wedding planning! Planning a wedding is exciting, but before you start signing contracts and making random purchases, it’s important to take the time to think about what you really want and how you’re going to finance it. It’s important to enjoy this special time of your life, but if you get too far ahead of yourself, you can make some costly errors. One of the first things you should do after announcing your engagement, is to think about what kind of wedding you want. Are you picturing a lavish affair in an elegant ballroom, or maybe a casual wedding in the mountains? What level of formality do you want for your wedding? What time of year do you picture for your wedding? What are your interests and passions? 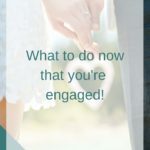 As a newly engaged person, you will have many well-meaning people, make suggestions as to what you should do for your wedding; where to get married, who to invite, how to wear your hair, and any number of other things you should or shouldn’t do. While you may receive some great advice, we suggest that you sit down with your partner, but independently of each other, come up with a list of what each of you are envisioning. Afterwards, come together and share your thoughts? What are the commonalities? Where do you not see eye-to-eye (you may be surprised at the outcome!)? What are your priorites; what’s really important to you? The important thing is that you as a couple come up with what works for the two of you. Next, discuss how to finance the dream. It’s not uncommon for couples to experience “sticker shock” when they first start looking at what their wedding will cost. To alleviate stress, sit down with your partner and realistically determine how much you can afford and want to spend on your wedding. Determine how much each person can comfortably contribute. If your parents are wanting to help out, it’s important to sit down early with them. Figure out how they plan on contributing to your big day. Once, you have a vision and a budget to work with, you can think your wedding venue and wedding professionals (aka vendors). Select a Wedding Date. While you might still be looking for your ideal venue, you can still begin to think about a wedding date. You might have a time of year in mind, or a particular date. Sometimes, selecting a wedding date is partially determined by budget. Will you have the resources in place to pay for your wedding? Not all couples have a nest-egg saved up before they get engaged. Typically, couples are engaged anywhere from a year to eighteen months. Again, refer back to the wedding vision you and your partner came up with and use it as a guideline for coming up with your wedding date. Hiring a wedding planner early in the process can be a very beneficial first step. For many couples, wedding planning can quickly become overwhelming and hectic.Planners can help save you time and frustration by recommending vendors suited to your style and budget. They’ll help you stretch your wedding dollars and they’ll keep you organized and on track. Select your wedding venue early. Many popular venues (especially in the mountains) book up quickly. Hire a wedding planner (you can even hire one just for a consultation). They can help you determine what vendors need to be booked quickly and which ones you can wait on for awhile. Determine your priorities. We suggest choosing three things that are most important to you. Allocate money to what matters most. Book your wedding professionals. Some of the most popular vendors book up early. Typically, most vendors will want a deposit to save your date. You can expect to pay out a fair amount of money in the early stages of planning to secure your team. Review contracts very carefully before signing. Avoid surprises later! Know what services are included, what the payments are and when payments are due. Take time to decide on your wedding party. Reflect on who the most important people in your life are. It’s easy to make promises to several friends only to realize later that this impacts your bottom line (more bouquets, more boutonnières, more gifts, etc.). Get realistic with your budget. You may not be able to have everything you want. Focus on your priorities. Keep your wedding day in perspective. It’s important yes, but it isn’t everything. What’s most important is that you’re marrying your special someone. For assistance with your Banff, Canmore, Lake Louise, Jasper or area wedding, contact hello@naturallychic.ca for more assistance. We look forward to hearing from you!